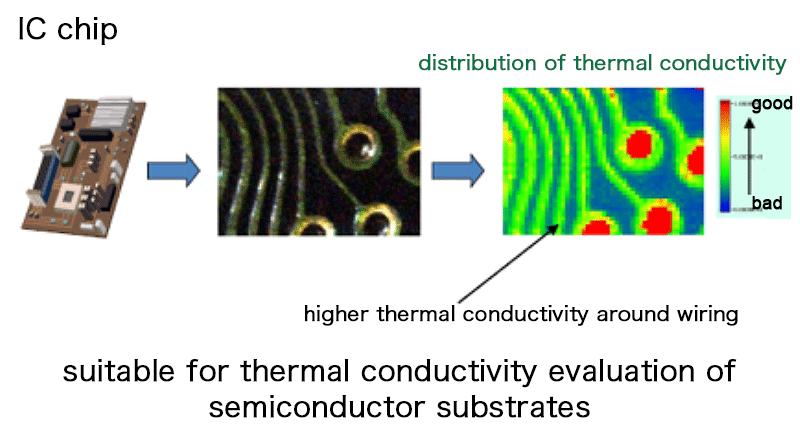 Analysis of thermoelectric measurement | ADVANCE RIKO,Inc. 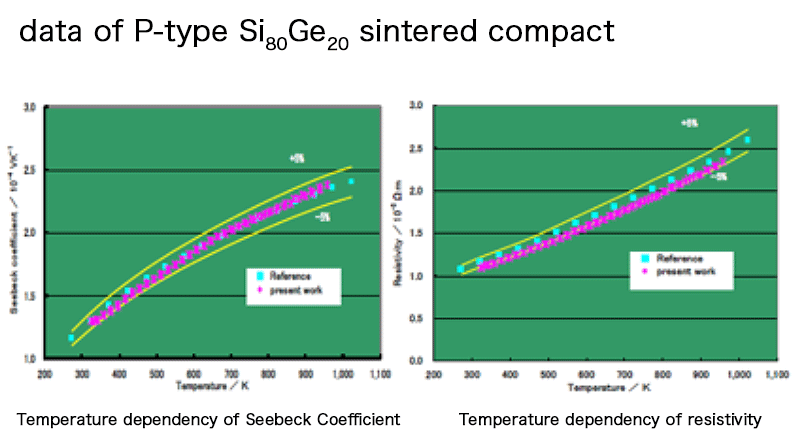 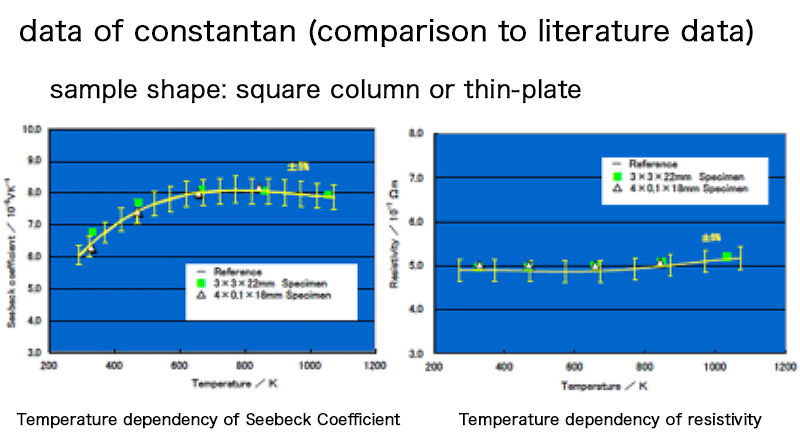 Measure seebeck coefficient, electric resistance and thermal conductivity in order to get performance index of a material itself. 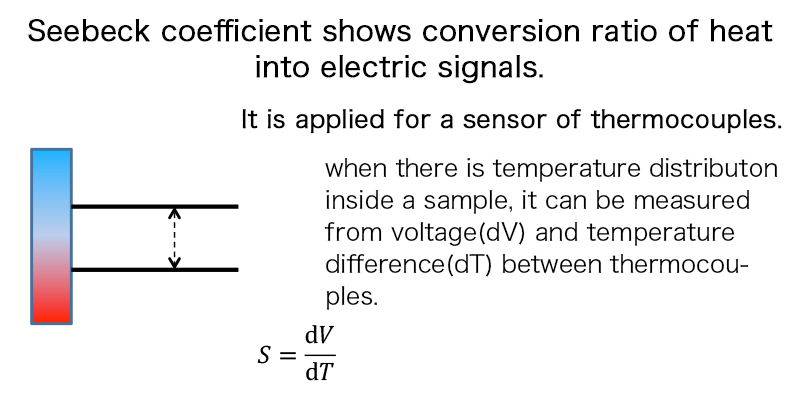 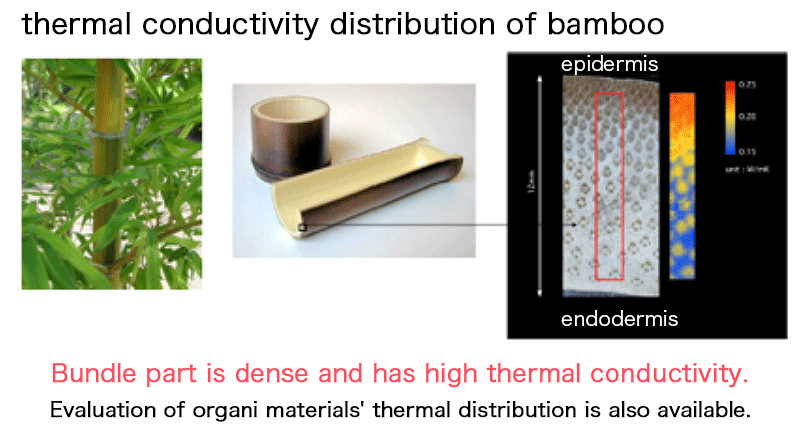 Heat both ends of a sample by a heater to make temperature difference of up to 50℃ between the both ends, and measure temperature difference and electromotive force by probe thermocouples pressed on the both ends of the sample. 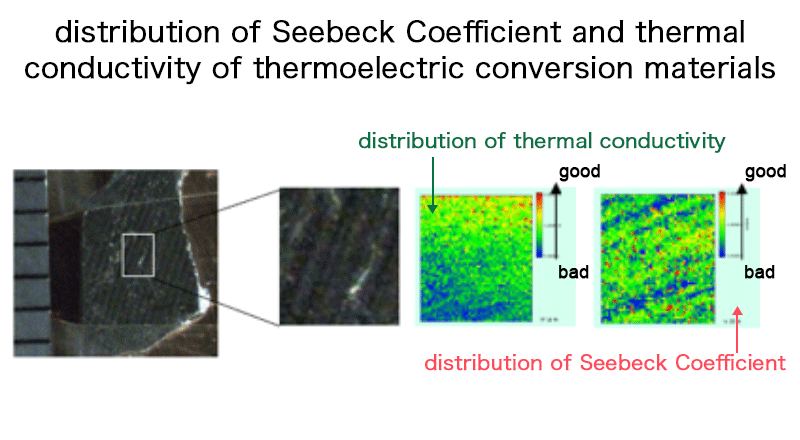 Apply temperature difference to thermoelectric module and then evaluate its power generation efficiency from current dependency on power generation amount and heat flow.